The last year 2018 has been a tough year for cryptocurrencies. Valuations are down 80% (and even more) and critics are claiming that a funeral is coming soon. However, not everyone has the same feelings. Presidents of many large concerns, both within and without the crypto universe, have spoken out about the long-term viability of cryptocurrencies and the innovative benefits of blockchain technology. One of the optimists is also Changpeng Zhaoa (known in the community under the nickname CZ) CEO of Binance, In a recent interview for Bloomberg, Zhaoa expressed his confidence in the industry and dispersed all worries going forward. Zhao is the founder and CEO of Binance, a fiat currency exchange that, by volume, is the world’s largest crypto-exchange. The 24-hour trading volume within Binance recently stood at USD 1.1 billion. 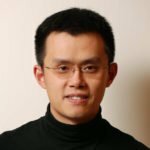 Zhao also has his entire investment portfolio in crypto-assets, valued at over $2 billion earlier this year. He has neither strayed from his path, nor does he regret any losses he has suffered. He has been in the cryptocurrency business for the long haul, which he claims will be bright and prosperous in the future. None of our plans changed. We are still pushing forward, very aggressively. 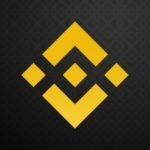 Binance will roll out ten more fiat-crypto exchanges as well as the company’s first decentralized exchange. Binance welcomes regulatory involvement within the cryptocurrency space from all governments around the world, as long as there is sufficient clarity to combat the present uncertainty. In CZ’s opinion, good and sensible regulations will promote rather than be an obstacle for further innovation.